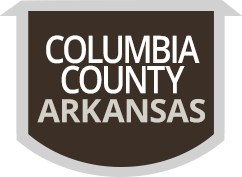 The Columbia County Road and Bridge Department maintains over 1,200 miles of paved and unpaved county roads. Amendment 55 gives the authority and exclusive control over county roads to the County Judge. In the last 4 years, the Road and Bridge Department has repaired or replaced 11 county bridges and replaced 505 culverts. Contact the Road and Bridge Department at 870-234-1902..